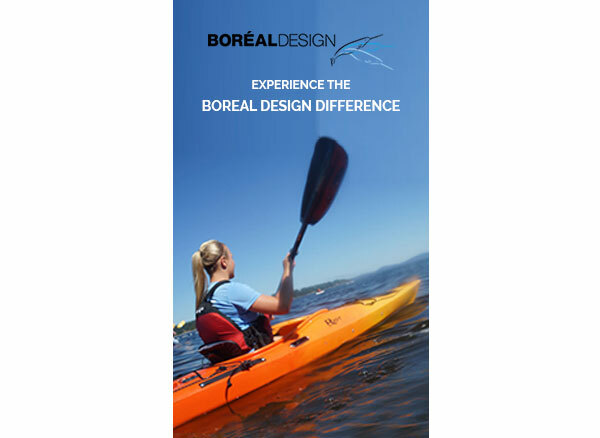 Boréal Design is continuously working to refine the art of building high end kayaks with the utmost quality in material, workmanship and cutting edge designs in all its components. We will be there for you during the many years that your kayak will perform for you. Please help us by reading the warranty document and by registering your Boreal Design kayak by selecting the tabs below. Thank you. The warranty agreement is applicable to the original retail consumer only, it is not transferable, nor does it cover any commercial use such as: pro-deals, rentals, educational, training, or those kayaks identified as demo, seconds, blems, institutional or K2. The warranty does not cover kayaks damaged during transport. The determination of exclusion of warranty coverage is at the discretion of the manufacturer. 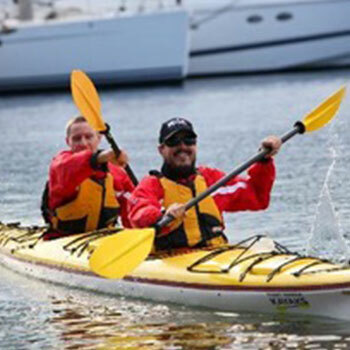 The warranty agreement requires that the distributor (Kayak Distribution Inc.) receive the Warranty Registration Form postmarked within 30 days from the original date of purchase. For a claim to be processed it MUST be accompanied by the original proof-of-purchase including the model and serial number of the kayak, relevant photos of the problem area, and the completed claim form (available on the website) describing the issue. Only upon receipt of these completed documents will an authorization number be issued by Kayak Distribution Inc. Please note: no other number or process will be accepted by the distributor. NO COVERAGE WILL BE AFFORDED ON BOATS WHOSE CARDS WERE NOT COMPLETELY FILLED OUT AND RETURNED TO BOREAL DESIGN, OR CARDS SUBMITTED WITHOUT THE SALES RECEIPT. Without the warranty card and sales receipt we cannot establish the date of sale of the kayak, and thus the age of the kayak. The warranty agreement excludes products which have been damaged by negligence, misuse or accident, or deterioration due to owner’s failure to provide reasonable and necessary maintenance. Products which have been modified or repaired by unauthorized persons, structurally altered in any way (not withstanding sanding, cutting walls and outfit components, drilling holes and altering original hull shape or modifying seat attachment to the hull) or have been subjected to stress beyond the physical limit of the material are also excluded from the warranty agreement. The following are not covered at any time by this warranty: scratches and perforation due to rocks or hard surfaces such as concrete and asphalt; warping (deformation of the hull) caused by extended exposure to the sun or heat, or by having tied the kayak too tightly or nesting it in an improper position; change in appearance of the kayak due to wear, over-exposure to sun, heat, or any other environmental condition. The warranty agreement excludes all shipping costs to and from the appointed place of repair/replacement. The distributor will not accept merchandise without the distributor’s authorization return number clearly identified on the outer packaging and proof of pre-paid freight in and out of the factory. The distributor reserves the right to return merchandise to its owner, at the owner’s expense (COD) if the above conditions have not been met. The distributor is not responsible for any damages incurred in transport, storing fees, or inconvenience or loss of time/money while the claim is being processed and repairs or restoration are being effected. The warranty agreement obliges the distributor only during the period of coverage (begins on the date of the original warranty activation and expires at the end of the original warranty period specified on the warranty registration form) to repair or replace, at its discretion, the defective parts at either its distribution warehouse or through a designated, authorized dealer’s store. The distributor reserves the right to change the product or design without incurring any obligation to incorporate such changes in previously available products. A: Kayak hulls are under warranty to the original owner only for a period of five (5) years from the date of purchase from an authorized Boreal Design dealer. The customer is responsible for all shipping to and from Boreal Design HQ or an authorized Boreal Design dealer. Hulls which prove defective within twelve (12) months will be repaired or replaced free of charge at Boreal Design’s discretion. Hulls which prove defective after twelve (12) months but under twenty-four (24) months will be repaired free of charge. If it cannot be repaired it will be replaced for 50 % of the current Boreal Design retail price. Hulls which prove defective after twenty-four (24) months but under thirty-six (36) months will be repaired free of charge. If it cannot be repaired it will be replaced for 60 % of the current Boreal Design retail price. Hulls which prove defective after thirty-six (36) months but under forty-eight (48) months will be repaired free of charge. If it cannot be repaired it will be replaced for 70 % of the current Boreal Design retail price. Hulls which prove defective after forty-eight (48) months but under sixty (60) months will be repaired free of charge. If it cannot be repaired it will be replaced for 80 % of the current Boreal Design retail price. B: Kayak parts (excluding fins and rudder or skeg blades) are under warranty to the original owner only for a period of one (1) year from the date of purchase from an authorized Boreal Design dealer. The enclosed warranty registration form and the present document are the sole and exclusive warranty recognized by the manufacturer and distributor in connection with the purchase and use of one Boreal Design’s products. 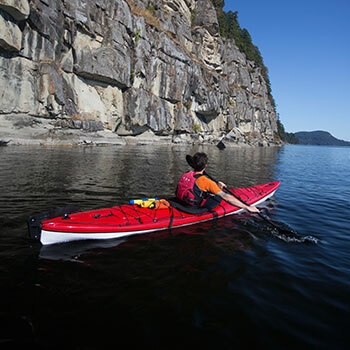 Kayak Distribution Inc., distributor of Boreal Design kayaks, makes no warranties or representations expressed or implied (including warranties of merchantability and of fitness for a particular purpose) in such connection except as specifically set forth in this warranty. 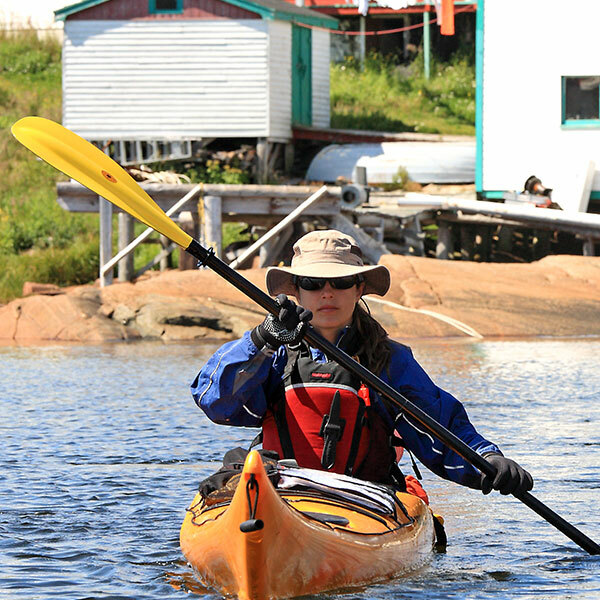 The company is not liable for any injury or damage to persons or property sustained as a result of the use of kayaks manufactured by Boreal Design Kayaks. The user of any kayak manufactured by Boreal Design Kayaks acknowledges and assumes any and all risks associated with the use of kayaks and waives any and all claims against Boreal Design Kayaks, Kayak Distribution Inc., and any of their agents and/or assignees. By filling out and submitting the warranty registration form, the owner of the product acknowledges that he has read and understood the Owner’s Manual and warranty agreement, and that he recognizes that due to the nature of the activity the product is intended for, Boreal Design Kayaks, Kayak Distribution Inc., and their owners, employees, and associates can not be held liable for any injuries or mishaps sustained in the use of a kayak manufactured by Boreal Design Kayaks. All incidental and/or consequential damages are excluded from this warranty agreement. Implied warranties are limited to the life of the warranty (as specified in the warranty registration form). Some states do not allow the exclusion or limitation of incidental or consequential damages, so the above limitations or exclusions may not apply to you. This warranty gives you specific legal rights which may vary from state to state. Around here, we like to keep things as green as possible. 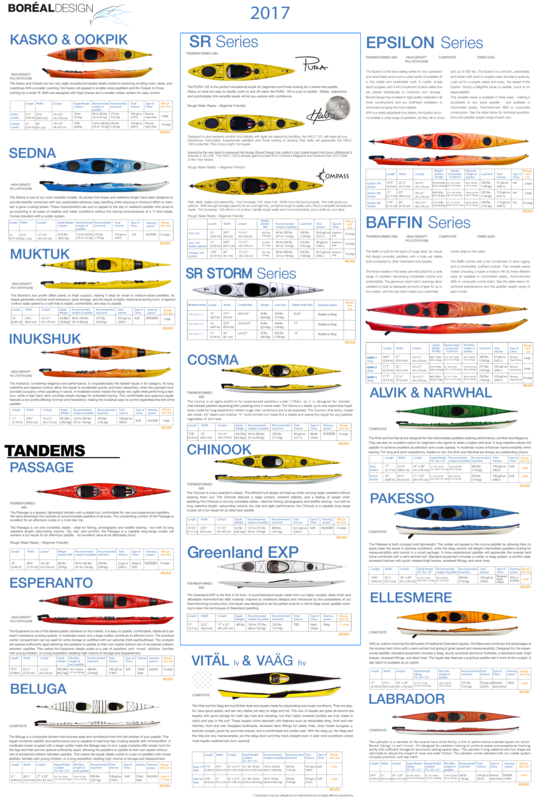 To save some paper—and a few trees to boot— you can download a digital version of our 2017 Boreal Design Kayaks brochure here. However, if you would like to request a bundle of our printed brochures, please contact our sales department directly via email and they will do their best to meet your needs. 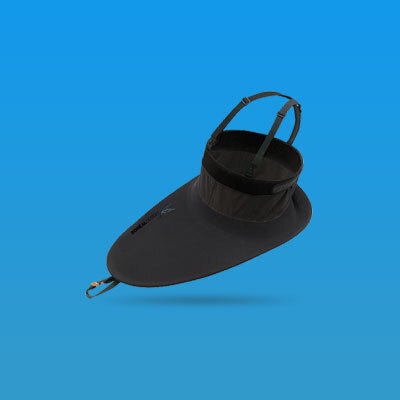 We have designed a full complement of genuine accessories to bolster the experience that comes with owning a Boreal Kayak. 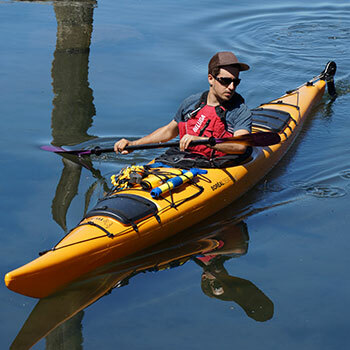 Whether you’re looking to keep yourself dry with the addition of a spray skirt or are a cockpit cover to keep your kayak clean and adventure-ready, we’ve got something for every model of kayak we make.